India’s talent crunch in artificial intelligence and machine learning has left over 4,000 mid and senior-level job positions vacant in the artificial intelligence (AI) sector, our study noted. Another key constraint is that around 57% of firms hiring for AI roles are looking for candidates with over five years of experience, while the average AI experience of Indian professionals is around three years. Even though the AI industry has grown by almost 30 per cent in the last one year to $230 million, yet close to 4,000 positions in India remain vacant due to a shortage of qualified talent at the mid and senior level, our study noted. A clear demand-supply gap exists at mid and senior levels across domains like finance, IT, healthcare and e-commerce side. However, despite the talent gap, there is a huge demand for learning programmes that can help one transition to the field of AI and ML. There is a clear demand from professionals and employers alike for in-depth training that prepares them for a career in this buzzing field. Today, the market is flooded with a bunch of short-term beginner courses that can get the developer community started with machine learning with TensorFlow and other deep learning frameworks. Even though the newer set of tools and frameworks are designed to be more accessible to the developer community, there is no structured programme with guided support and a peer community to help one gain these in-demand skills and apply it to real-life business problems. Given the current talent gap in the industry and companies rethinking their people strategies, Ronnie Screwvala co-founded upGrad, a leading provider of AI, machine learning and advanced analytics programmes has launched a PG Diploma in Machine Learning & AI delivered in conjunction with IIIT-Bangalore. The 11-month programme applies the same academic rigour of a full-time University level course and is now considered the gold standard for machine learning and AI. Designed for working professionals — software engineers and IT professionals, the programme covers a gamut of in-demand competencies required in the industry today. Delivered in the online format, the program provides a foundation in Deep Learning, Reinforcement Learning, NLP and graphical models along with a solid foundation in Predictive Analytics and Statistics. Led by IIIT-B faculty comprising of faculty members like Professor S Sadagopan, Srinath Srinivasa, Professor G Srinivasaraghavan, Tricha Anjali and featuring industry mentors from Uber AI Labs, Genpact, Tata IQ, Viacom, Pitney Bowes and Flipkart, the course covers the fundamentals of statistics, machine learning, deep learning and neural networks, reinforcement learning and graphical models. 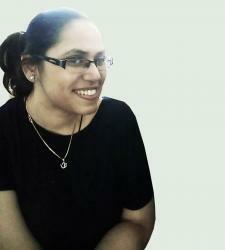 It also provides a pre-program preparation by covering the basics of Python, SQL and Math for Data Analysis. 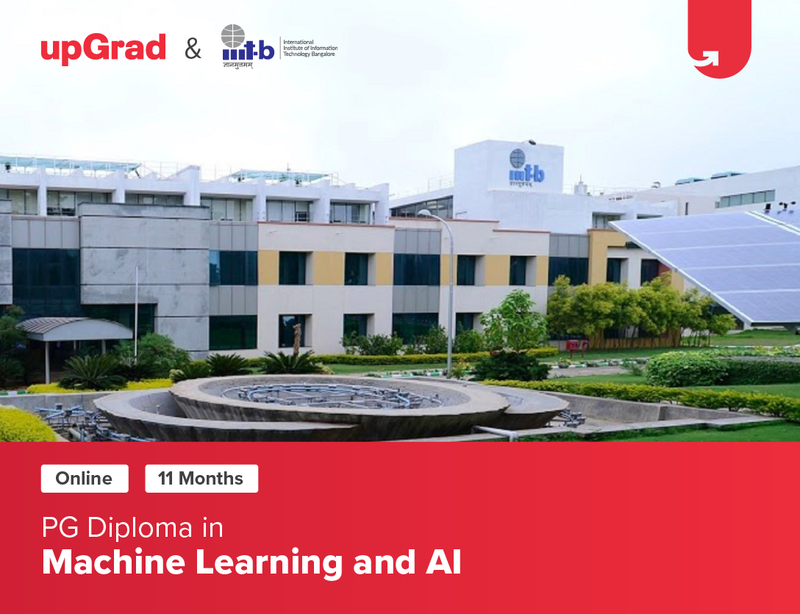 1) Earn IIIT-B alumnus status: Led by the stellar IIIT-B faculty and delivered in a structured format, the 11-month program delivers a university-level course in AI and machine learning. Given its global recognition in the analytics and IT industry, IIIT-B is uniquely positioned to deliver a cutting-edge program. 2) Learn from the best faculty: Given the interdisciplinary nature of AI which draws on various disciplines such as computer vision, NLP and even robotics, students will get a chance to draw on the faculty’s expertise, gain an opportunity for guided learning and learn from Professors from various departments. 4) Experiential learning experience: With 12 case studies and assignments, the 11-month program provides 450+ hours of learning and also features hands-on workshops. Another key feature is that during the course of the program, students will get mentorship from industry experts and student mentors who will help in doubt resolution. 5) Industry-relevant curriculum: The course has been designed in conjunction with industry experts keeping the industry’s requirements in mind. From 1:1 mentoring from industry experts to 140+ hours of industry-led projects and case studies, students will get a chance to gain mentorship and learn from the best.